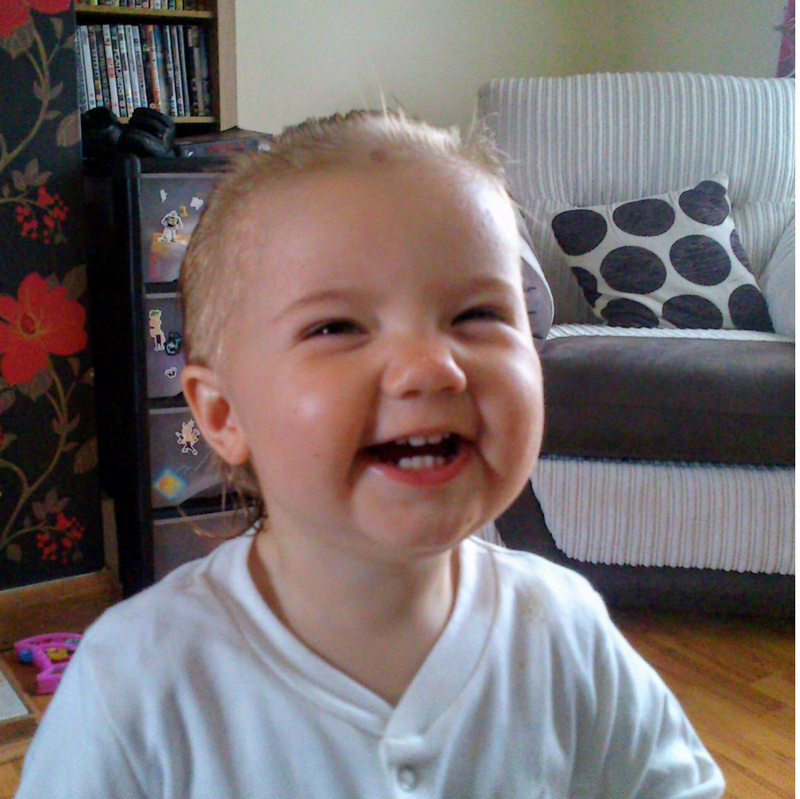 Ellie Louise Baldwin died in 2013 when she was just two. 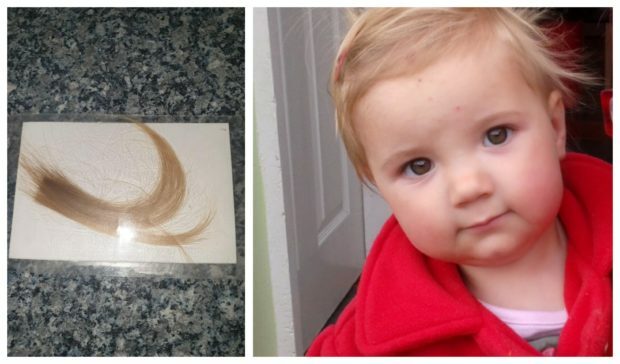 A devastated Moray mother has called on thieves who stole a lock of hair from her daughter, who died age two, to “search their conscience” and return it. Kirsty Baldwin, from Lossiemouth, had her handbag snatched as she sat in her car at a motorway service station near Manchester Airport after returning from a holiday in Tenerife. Inside the purse were treasured strands of her daughter Ellie’s blonde hair. She died in 2013 from bronchial pneumonia. The lock is all Mrs Baldwin and her husband Roy have left of their daughter and has been in her possession everyone she has gone. 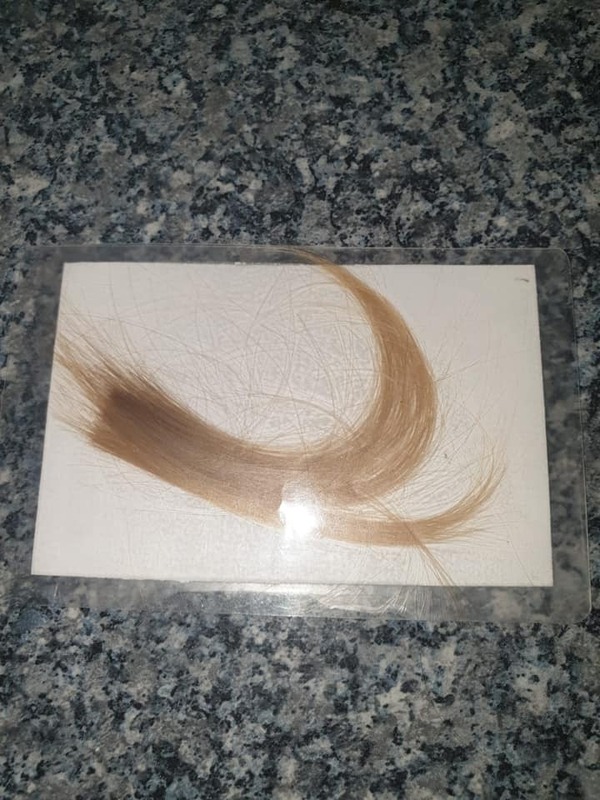 Yesterday, Mrs Baldwin explained she was not upset about losing the designer handbag, which contained an iPad and cash – but begged the thieves to return the hair which was in a memorial card inside her purse. She said: “I’m not interested in where it’s left or where it’s handed into. I’m not interested in any of that. We just want it back. “It’s got no value to anyone but us. It’s one of our most personal belongings. “They would probably just chuck it away but if they’ve got a conscience then I would ask them to hand it in. Mrs Baldwin, who now lives in the north-east of England but still has family in Moray, stopped at a service station on the M62 after returning from a break in Tenerife. She bought a coffee inside and had just returned to her car when a man opened her car door and snatched her handbag. He then fled in a nearby vehicle being driven by a woman. The theft, which happened at about 10.30pm on Wednesday, took “seconds” but has left Mrs Baldwin distraught about what was taken and too upset to go back to the vehicle. Police are now reviewing CCTV footage from the car park in an attempt to find the culprits. Constable Cherie Castle from Greater Manchester Police’s Rochdale district said: “Robbery in any circumstance is particularly distressing but Kirsty and her family have been left devastated. “The hair is such a previous item that cannot ever by replaced and she’s desperate it’s returned to her. Ellie Louise Baldwin’s blonde hair. Anyone with information should contact police by calling 0161 856 8457 or Crimestoppers anonymously on 0800 555 111.